It's official, the first GG League tournament in Sekiro: Shadows Die Twice will be the "Deathless Race" on April 6, beginning at 10 am EDT. With ten Dark Souls and Bloodborne tournaments in the books, we've very excited to bring you this fresh and exhilarating content in From Software's latest title. The prize pool is $500. Each player is tasked with completing the Immortal Severance route of Sekiro at the fastest time possible without any deaths. Each death counts against the player for a brutal 10 minute in-game time (IGT) penalty. More information on the rules can be found here. 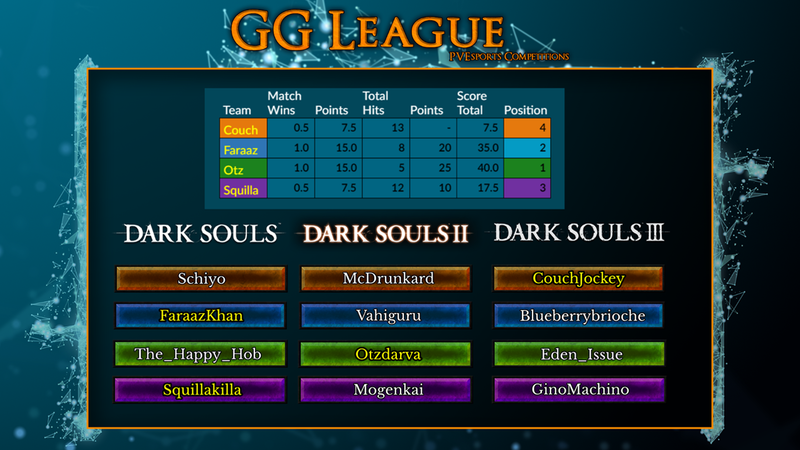 On the eve of Sekiro, The_Happy_Hob and Otzdarva both did the impossible---they beat their INSANE SoulsBorne hitless challenge runs, with only hours left before Sekiro launch. The_Happy_Hob had been working for months to get the "God Run," or back-to-back Dark Souls Trilogy, Bloodborne, and Demon's Souls "no hit" or "hitless" run. If he didn't get the run, he'd have to get a tattoo---a constant reminder of a missed opportunity. He came to call his final attempt before Sekiro the "Destiny Run." Going straight through from the afternoon of March 20 into the wee hours of the morning on March 21, Hob finally beat the run and became a legend once again. 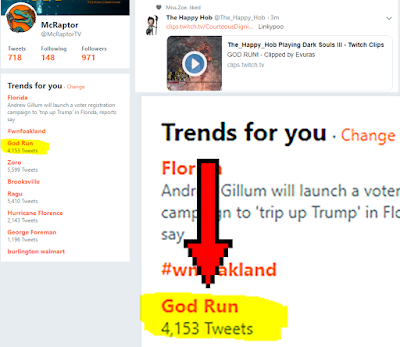 There was so much celebration in the community, that the "GOD RUN" was even trending on Twitter! If you've been following the GGLeague tournaments, you know that our first big Sekiro tournament is just a few weeks away on April 6. It's going to be huge! Many viewers have reached out about how to get involved, either on logistics for the tournament or entering as a tournament runner. Scoring Specialists---we need you to carefully watch a group of 2-4 runners to look for any deaths or rule infractions. You then need to communicate and coordinate with other scoring specialists to relay this information to the tournament casters/commentators via discord DMs. This is a very important job and requires knowledge of the Sekiro no damage run. You don't need to be a runner, but you need to have a good understanding of the run's rules and flow of the game. We need a minimum of 10 scoring specialists for each tournament, including on April 6. Communication Specialists---we need logistics specialists to communicate messages to tournament runners and commentators, moderate chat, and provide other support. No specific game knowledge is required, although it's helpful. This is best for people with good communication skills! In addition to tournament logistics, we always need artists/video editors/programmers/etc. for specific projects. If you want to be involved with any of this, please reach out to me (contact info below). Reliable and consistent performance on the Sekiro deathless/no damage run. Your goal prior to the first tournament should be at least a 3 death PB on the run and a competitive time as well since matches will be scored based on in-game completion time, with a penalty for damage taken. Must be a Twitch streamer with a reliable internet connection and good quality stream. Stream quality must be at least 720p/30 fps and 2,000+ bitrate. You cannot participate if you cannot stream during the tournament. You must agree to our code of conduct for the tournaments (more information to come), which includes your permission for us to restream your tournament run and you must be respectful (at all times) to other runners, commentators, and casters. You also must agree to using ethical behavior when it comes to self-reporting on match performance. There may be a small (~$10) entry fee to compete. Members of Team Hitless are exempt from this requirement. The purpose of the fee is not to generate revenue but to ensure that those entering are serious about running and will be reliable when it comes to tournament day. Tournament runners who cancel last minute, or habitually sign up and cancel, will not be allowed in future events. Tournament schedules are always posted in advance and schedule changes are rare. Clear your calendar ahead of time and make sure you have time to run and practice before asking to join. 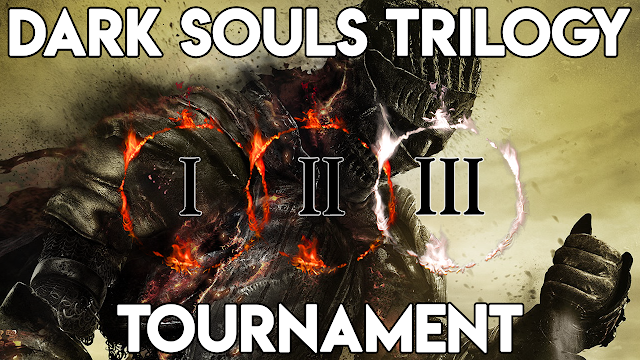 If you have more questions, or want to participate on either the logistics team or as a tournament runner, please DM me on Discord (preferred) or Twitter (@McRaptorTV). You can join the McRaptor discord by going to Twitch.tv/McRapt0r and typing !discord in chat. Congratulations to Team Otzdarva for the 1st place finish; Team FaraazKhan takes 2nd place! 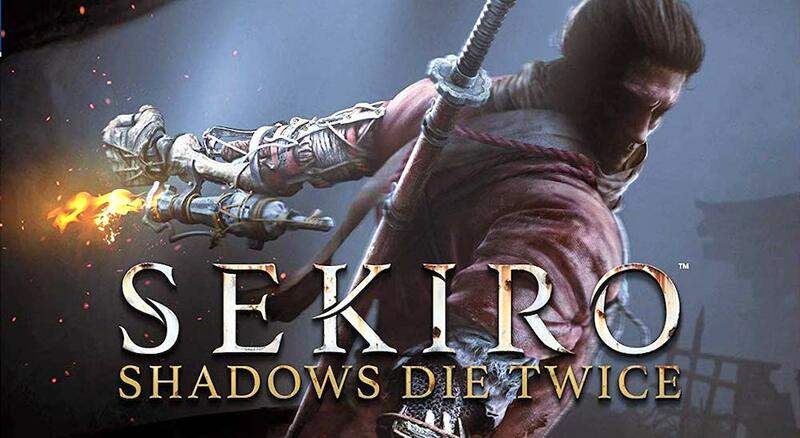 YES, IT'S HAPPENING: the first Sekiro: Shadows Die Twice Tournament is April 6. This going to be HUGE. More details soon. Follow @McRaptorTV on Twitter to stay up to date.